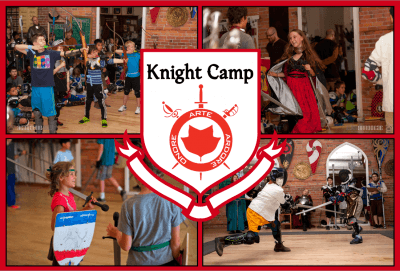 Welcome to the only authentic knight school for youth (ages 8 – 14) in Canada, where knightly skills are taught in a safe and engaging environment by Academie Duello’s trained instructors. Knight Camp has been voted “The Best Children’s Camp” by the Georgia Straight and takes place at our beautiful 5,000 square foot facility in Downtown Vancouver. Since 2008 we have had more than 1000 children participate in Knight Camp, with a growing group of graduate Knights who now play a role as senior students and camp instructors for the next generation of Knight Campers. The five-day camp curriculum is focused on the skills of becoming of a knight – from martial arts of the longsword and sword and shield – to the practice of knightly virtues such as courage and integrity. Students at Knight Camp learn about history, leadership, heraldry, archery, medieval games and more. Everyone uses properly weighted and balanced synthetic swords that give the authentic feel of the real thing – while staying safe and easy to manage. Students will also get the opportunity to interact with real swords and armour as well as create their own shield. At the end-of-week finale, each student will graduate to their next rank. Check out a video of our Finale! Please bring your kids in with filled-out forms on Monday to facilitate the registration/drop-off process. Obtain forms here! If an event is closed, or if it shows no spaces available, give the front desk a call at 604-568-9907, or email at bookings@acadmeieduello.com and we’ll see if we can fit you in! Camps run from 10am to 3:30pm Monday through Thursday, and 10am to 4pm on Friday, with before and after care available (8:30am for before care, 5pm for after care). Each day begins with a warm-up and a discussion of Knightly Virtues. 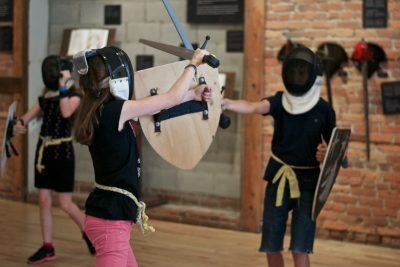 Students then learn a variety of the martial skills that the knights of old had to know: Wrestling, swordplay, and staff. During lunch, students learn and play a variety of medieval games. After lunch, students divide into groups for academic lessons on subjects ranging from heraldry to the history of the sword to armour-making, and more! The day wraps up with more martial arts lessons as well as sparring (controlled practice swordfights, with protective equipment) and the virtue circle, where the students and instructors nominate each other for their virtuous behaviour throughout the day. On Friday, all of the students show off their skills in a grand finale: a combination of tournament, heraldic display, and show of skill-at-arms capped off with the graduation of each student to the next rank. Parents, friends, and family are of course welcome to attend the finale! pm 12:00 Lunch! Lunch! Lunch! Lunch! Lunch! Lesson II 1:45 Longsword I Staff I Sword & Shield I Martial Arts Review 2:00-4:00 Finale! Students of Knight Camp advance their way through six ranks. Named for titles and stages of development in the training of knights and soldiers in Late Medieval and Renaissance Italy, the ranks reflect a student’s physical abilities, martial skills, knowledge of materials taught in class, and practice of knightly virtues. Cavaliere su Veglia can return to camp as a student to study their choice of academic subject, or, if they’re at least 12 years old, as a volunteer to help other students on the path to knighthood. Welcoming. 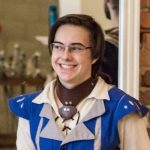 Academie Duello is inclusive and friendly. This is a place where youth of all backgrounds and abilities can engage with history and historical European martial arts. Physical. Students are sent home pleasantly sweaty and satisfied from our classes. 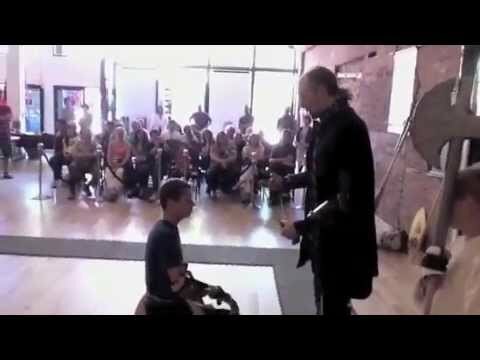 This is swordplay in the real world not just in your heads. Fitness and activity are the keys to our physical well-being. Authentic. The arts we teach are based on a historic tradition. We honour this history by using historic training tools and by practicing a true martial art with the care and discipline expected by its first teachers. In turn we foster an environment for our staff and students to be their truest and best selves. Empowering. We give students the tools to be their own best teacher, and encourage them to realize their capabilities and their own personal power to shape their character. Professional. Our space and staff keep a polished, clean, and neat presentation. Classes start on time and run on a schedule. We do everything we can to make sure our customers have the most consistently excellent experience possible. Every day at Knight Camp the students learn about and practice two knightly virtues. At the end of the day, students nominate each other for virtuous behaviour. Obedience and fealty both mean loyalty. As Pages you show obedience to the Instructors. Obedience is a good thing to practice everyday. We should be obedient to people in charge, like our parents, teachers, policemen etc. Nobility is showing notable behavior. By trying as hard as you can or by helping others be the best they can be you show ‘Nobility’. Mercy is not taking revenge on people who may have done something wrong. Mercy can also mean not getting angry at someone who may have hurt you by mistake. Justice is having a sense of what is right and wrong. Laws help people to know what is right and what is wrong. Knights helped to make sure that justice was maintained in the kingdom. Integrity is being as honest and truthful as you can be in everything you do. Integrity is when you admit to doing something wrong and try to make it better. Valour is bravely doing what is right against all odds. You can show valor by stopping a fight or getting an adult to help if something is wrong. Charity is giving to those who have less than you. It can be sharing your sandwich or helping someone out. It was important for Knights to show charity to their people. Faith is believing in yourself and trusting in those around you. You can show faith by supporting others if they are having trouble learning. Knights had faith that their soldiers would support them in battle, and had faith that their lords had good plans. Courage is making wise decision even when you are afraid. Courage can be going into a dark room even if you are afraid of the dark. You can show courage by trying even if you are not doing well at something. Humility is not showing off when you can do something well, but helping others to learn it too. A Knight is satisfied when he or she can do something well, they don’t need to brag about it all of the time. To make things easier for parents with work and life schedules to contend with, we offer before and after care services starting at 8:30am each morning and from 3:30 to 5:00pm each day. Kids in before and after care are welcome to work on activities provided during the camp, play games, or bring their own activities from home. This will be largely self-directed time with adult supervision but don’t worry: they’ll have plenty to keep them occupied after each day of camp! Tuesday through Friday the following equipment is required for sparring and certain sections of class. Without these items your child will not be allowed to fully participate in camp activities. Gloves can be purchased at a hardware store or at the Academie Duello store. Other protective gear is available at most sporting goods stores, or at the Academie Duello store. Head protection, in the form of fencing masks, is provided by Academie Duello, but students are free to bring their own fencing masks if they’ve got them. Camps take place at our beautiful 5,000 square foot facility in downtown Vancouver. We are within 2 blocks of major bus routes, SeaBus, SkyTrain, West Coast Express, and accessible parking. Metered parking is available on the East side of Richards Street and both sides of Homer. There are several pay lots close to our facility: an outdoor lot on the south-east corner of Richards and Pender, an enclosed lot on the south-west side, and a large lot, one block away, that can be entered from Homer (one block East of Richards), north of Hastings. Please be aware that there is no street parking on Hastings from 3-6pm. If parking is an issue, then we offer a street pick-up and drop-off. Call us at least ten minutes before you expect to arrive and and one of our staff will accompany your child directly to your car when you pull up to the loading zone out front. 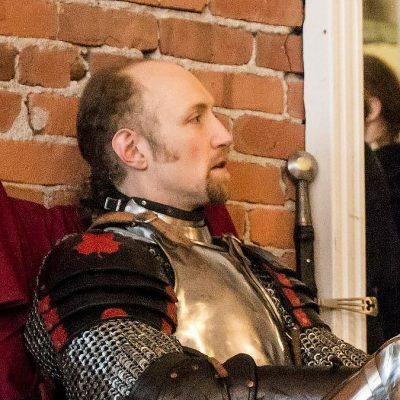 Devon Boorman has been passionately pursuing Historical European Swordsmanship since 1994. 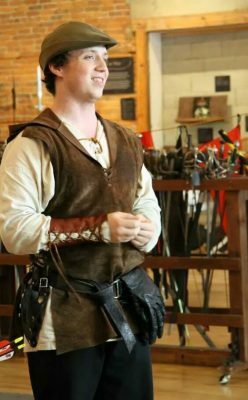 He is the Master Instructor and Director of Academie Duello and helps oversee the activities of Knight Camp. You can read his full bio here. Background: Archery, Sport Fencing, Skiing, Tae Kwon Do, Kickboxing, Krav Maga. Martial arts of any sort are a way for me to connect with my heroes; the learning and teaching of those arts allow me to give myself and share the qualities I think are important in a person. Loyalty, community, honor. Involved in WMA Since: Summer of 2008. Favourite Disciplines: Sword and shield, Polearm, Case of Swords. Background: Judo, French Foil, Archery, Has High Five training, fluent in both English and French, and is a Cavaliere dell’Ordine Di Capo Ferro (Knight Camp graduate). Other Interests: Fraser has been Tap dancing for 11 years, plays bagpipes and has played both guitar and piano at an intermediate level, has cross-country skied his entire life, is a snowboarder, armour- and shield-maker, has played lacrosse for the past 5 years, plays most tabletop games, has studied herbology, is technologically savvy, and is a super hero enthusiast. © 2019 Academie Duello – Learn Swordplay | 412 West Hastings Street, Vancouver, BC. | Phone 604-568-9907 | All Rights Reserved.